In David Carroll's text, a topic that can sometimes seem bewildering to students is presented in a clear, interesting, and engaging style. Using a cognitive approach, Carroll brings the current developments and controversies in psycholinguistics to students in an engaging style and sets them in historical context. Each chapter is enhanced with unique pedagogy that was designed to stimulate critical thinking, assess comprehension and provide opportunities for application. 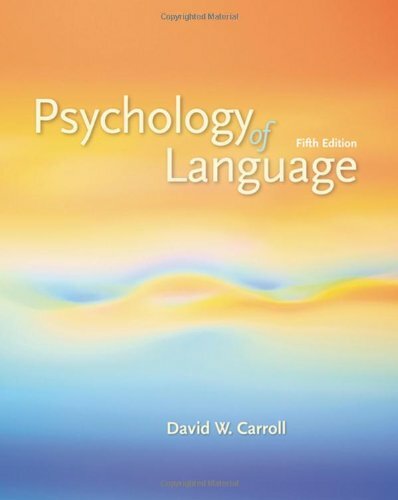 This fifth edition of Psychology of Language fills the need for an up-to-date and clearly written treatment of the field in a manner that resonates with today's students.